We are not just another Personal Training or Boot Camp gym; we are a whole new way of living and experiencing life. We are here to help everyone achieve a new level of fitness. Whether you are interested overall fitness, toning, body fat reduction, strength gain, cardio-vascular fitness, weight control, body sculpting, flexibility, nutritional and diet guidance, or pre-natal and post-natal fitness Body By U Fit knows how to help you reach your fitness goals. 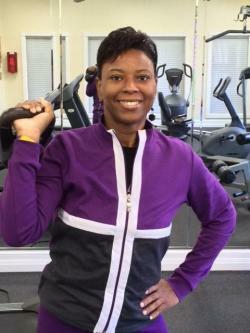 I am Jeanna Hawkins, my journey to health and fitness was through a personal one. I decided getting my health in order was a must, if I wanted to enjoy life and expect longevity. Through my weight loss process I discovered a desire to help others do the same. I speak encouragement to anyone wanting to get fit, whether that is by maintaining good health, weight loss or strength training. You can co​unt​ on me and Body By U Fit, to provide you with the knowledge and training needed to reach your goals. I am an ISSA Certified Trainer, CPR/AED Certified and an Independent Distributor with Advocare Health & Fitness.